The pharaohs of ancient Egypt reigned supreme. They were regarded as both gods and political figures. The pharaohs inherited the crown through the royal bloodline where the king, the father, left the throne after his death to his eldest son. Countless pharaohs have ruled over Egypt making it one of the greatest civilizations ever. Not all of these played a key role in molding the great history of Egypt but the ones who did are marked out forever in this golden period of history. The pharaohs were so important to their people that they were compared to Egyptian gods such as Horus and Osiris with titles such as the Son of Re being used too. Their role was so much more than simply emperor, which led to their god-like status. The construction of a pharaoh’s tomb was a major task in Egypt as the pharaohs wanted to be reborn victoriously in the afterlife. Architects worked hard to provide protection for the tombs by constructing pyramids over them. Hatshepsut bags the title of the most successful female pharaoh to ascend the throne of Egypt. The fifth ruler of the 18th dynasty of Egypt, Hatshepsut reigned between 1478 BC and 1458 BC. 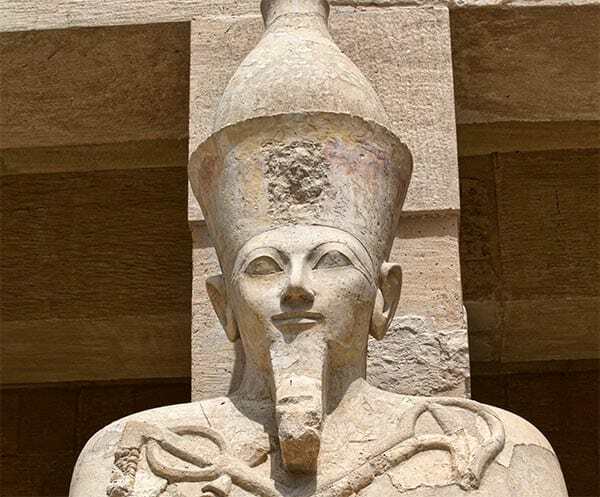 As the wife, daughter, and sister of a king, Hatshepsut not only shared the royal bloodline but also inherited the art of ruling from her royal family. Although the status of woman in ancient Egypt was high, female pharaohs were rare. It is believed that King Thutmose I wanted his daughter to inherit the throne. After her husband’s death, Hatshepsut took over the throne and reigned for over 21 years. She accomplished a lot more than many other pharaohs could have done during their reign. From initiating countless construction projects to establishing routes for foreign trade, everything was accomplished smoothly, and the people enjoyed peace under her government. The famous temple of Hatshepsut is a mortuary temple she built for herself. 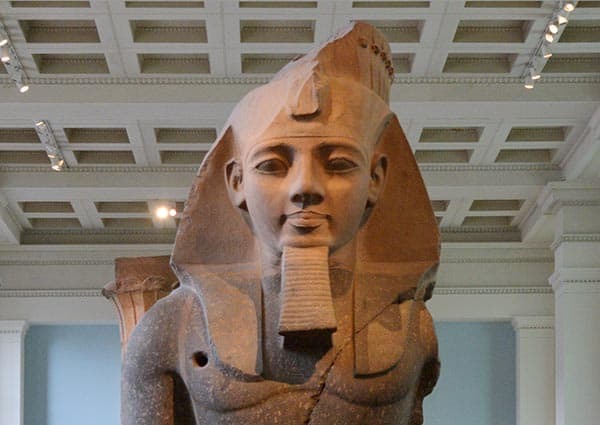 Thutmose was the heir to the 18th dynasty of Egypt and the stepson of the previous pharaoh Hatshepsut. Being the only son of King Thutmose II, he was supposed to take over the throne after his death, but he was only two years old at the time so his stepmother Hatshepsut ascended the throne while he became her co-regent. 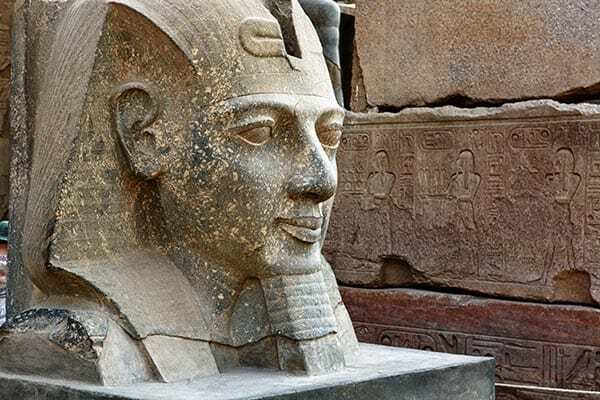 His reign lasted for 54 years and he died at the early age of 56, but his contribution to Egyptian civilization is still considered as one of the greatest. Widely known as the “Napoleon of Egypt,” Thutmose had a wide list of accomplishments and military achievements. The expansion of the Egyptian kingdom under his reign was notable. Thutmose was also considered a great warrior who fought many enemies to protect Egypt and its people. He contributed a great deal to the construction of various sites and his most renowned contribution is the temple at Karnak. One of the obelisks from this temple was re-erected as the Obelisk of Theodosius in Istanbul, Turkey. Thutmose’s mummy was discovered in the Valley of the Kings where he was buried with other pharaohs of the same dynasty. Ramesses II was the third pharaoh of the 19th dynasty and one of the greatest pharaohs of the New Kingdom of Egypt. Egyptians often call him “the Great Ancestor.” Ramesses is said to have had a victorious military career that highly benefited the kingdom. He led several military expeditions and conquered many enemies like the Hittites, Syrians, and Nubians. It is believed that no pharaoh has ever surpassed his architectural triumphs. He built an extensive amount of monuments spread all over Egypt that are now a proud part of Egyptian heritage. He died at the age of 90 and was buried in the Valley of the Kings. Ramesses’ unusual contributions continued after his death too when his remains were sent to archaeological authorities in France for restoration. The Egyptian officials had to issue a passport for the deceased pharaoh’s body to assure a legal and safe return. Proper documents were prepared with a passport that had “King (deceased)” written as his occupation. The mummy was received at the airport with every military honor due to a king. Amenhotep’s rule is remembered as one of artistic glory and prosperity. He was the ninth pharaoh of the 18th dynasty whose reign lasted from 1391 BC to 1353 BC. He had a large impact on the economy of Egypt which blossomed under his reign thanks to the healthy trade relations at this time. He contributed a great deal to the field of art by building many monuments, statues, and stone scarabs that are still in good condition today. Many texts were found engraved on these scarabs during excavations depicting a variety of historical events. 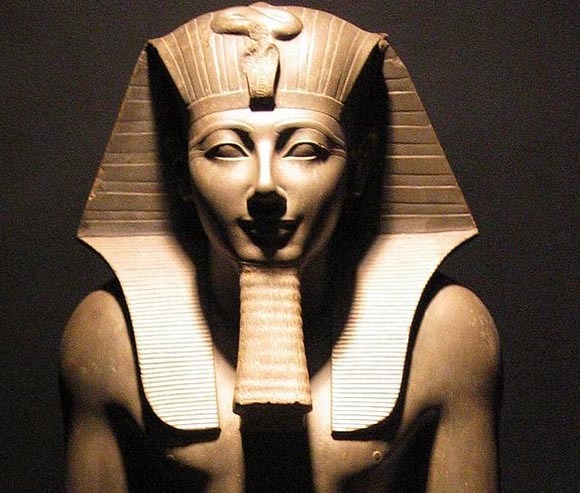 He is credited as the pharaoh with the largest number of his own statues. The most famous pharaoh of all time is King Tutankhamun. He ascended the throne at the tender age of nine or 10 but his reign only lasted from 1332 BC to 1323 BC. Although the young king introduced many religious reforms he was not well renowned for his achievements as a ruler. His fame comes more from the discovery of his nearly intact tomb. Tutankhamun’s death is still a matter of controversy as no conclusions have been drawn as to how he died, but his mummy was important for Egyptologists to conduct valuable research into the process of mummification. Xerxes I, more commonly known as Xerxes the Great was the fifth king of the Persian Achaemenid dynasty. He was the son of Darius the Great and his reign lasted from 486 BC to 465 BC. He is well known in history for his attempted invasion of Greece in the Battle of Thermopylae. Later in the same year, he was defeated at the Battle of Salamis which led him to flee his kingdom. He is known as both a Persian ruler and a pharaoh as when he ruled Egypt it was also a part of the Persian Empire. He was assassinated by his own commander of the royal bodyguard forces. Xerxes is not portrayed positively in the history books as most of the historical texts were written by the Greeks who saw him as a symbol of tyranny. Akhenaten, also known as Amenhotep IV, was an ancient pharaoh of the 18th dynasty. His reign lasted from 1353 BC to 1336 BC and was not much enjoyed by his people due to the unpopular reformations that took place. The Egyptians had been used to worshiping a large number of deities, but Akhenaten tried to change this religious tradition to monotheism, or the worship of only one god. This god was Aten, a kind of solar deity related to the god Ra. The people and future pharaohs were so upset by the change that after Akhenaten’s death they destroyed his statues and returned to their same old method of worshiping. He was eliminated from the list of kings and almost no trace of him was found until the discovery of his remains at Akhetaten. Later, his son Tutankhamun reversed his father’s religious reforms. The founder of the Old Kingdom, Djoser, was a pharaoh of the ninth dynasty. He reigned between 2630 BC and 2611 BC and is best known for his contribution to the construction of the famous limestone Step Pyramid at Saqqara. The monument is an example of great technological innovation. The pyramid was made to protect the tomb of Pharaoh Djoser and it was created by stacking up huge limestone blocks in the mastaba fashion. The stones have inscriptions engraved on them and the building is a great example of a smart form of architecture that did not lose its stability despite its height. The structure was completed after Djoser’s death by his official, Imhotep. The second pharaoh of the fourth dynasty, Khufu, was also known as Khnum Khufu. He belonged to the Old Kingdom and reigned from about 2589 BC to 2566 BC. There are not many historical texts describing Khufu’s reign but his greatest contribution to Egyptian civilization was the Great Pyramid of Giza. It is the oldest and largest of all the pyramids present at the Giza complex. Its remarkable architecture speaks for the impeccable construction techniques that were being used in ancient Egypt. The pyramid is made up of limestone and mud bricks and was built as a mortuary structure for the pharaoh Khufu. It has three chambers and the Grand Gallery. It is believed that the chambers were filled with precious jewels and artefacts that have long since been stolen. 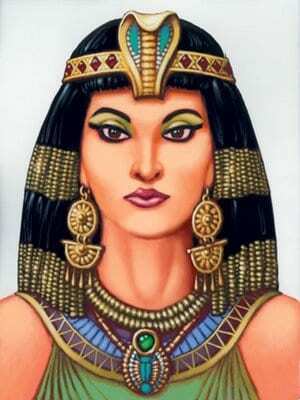 Cleopatra VII or Cleopatra Philopator was the last pharaoh of the Ptolemaic Kingdom. She was not a native Egyptian but the daughter of the Macedonian general Ptolemy I Soter. Her reign lasted from 51 BC to 30 BC during which she proved herself to be an eminent leader. The kingdom of Egypt prospered under her reign as various reforms were introduced to improve the Egyptian economy. Her foreign relations, both personal and political, proved to be of great value to the kingdom and led to much prosperous foreign trading. Ruling Egypt was never an easy task for her as her ascension to the throne was challenged by her own brother. She was a smart and competent emperor but at the age of 39, she committed suicide, though by what means is still unproven. Egypt’s last ruling pharaoh has had a great influence on literature and drama, with many plays, documentaries, dramas, and movies being made about her life. After the death of Cleopatra VII, the Egyptian Empire came to an end. This list includes some of the greatest and most renowned names of ancient Egypt. 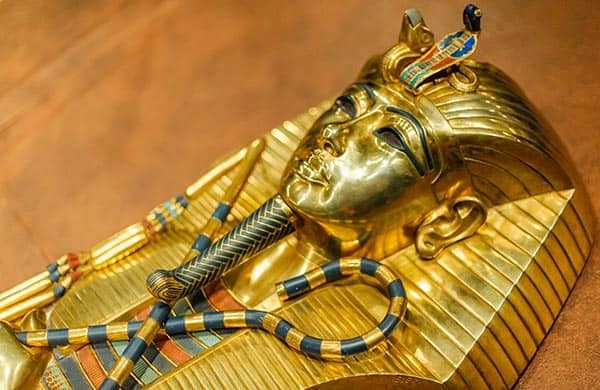 Some of these may not have made outstanding contributions, but their prominence in history and their popularity makes them superior to many other pharaohs, of whom there are far too many to list. Every dynasty is well known for something during this long civilization and the individual faces of the pharaohs characterize each particular period. Their conquests and their contributions to art and learning all add to Egypt’s rich heritage. Each of the pharaohs who have made it onto this list have handed down enormous historical wealth to future generations, and thanks to the pharaohs, Egypt has now become a tourist attraction for people from all around the globe. Everyone wants to witness the huge cultural legacy the pharaohs left behind. They can indeed be considered as the architects of an Egypt which is still with us today.